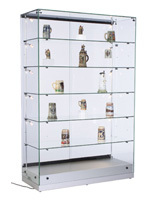 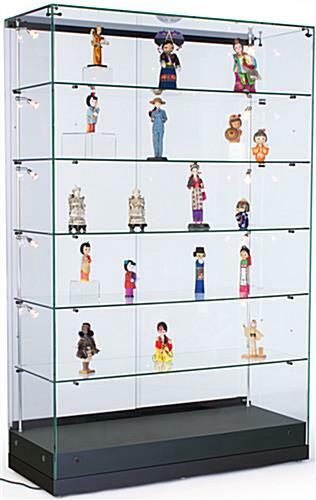 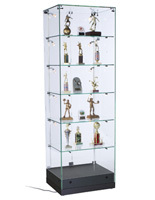 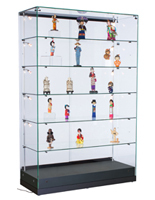 These glass showcase towers, display cases with ten vertical lights, adjust to spotlight any item presented! 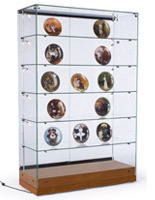 This useful lighting feature also has a switch that can be turned on to illuminate goods or turned off when natural lighting is in use. 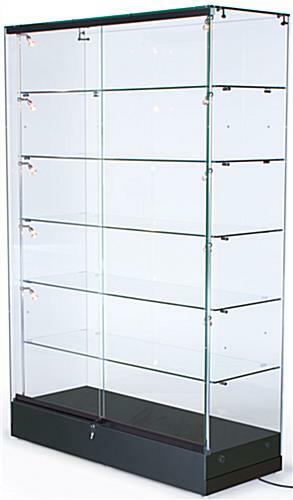 These pre-assembled jewelry showcase fixtures, display cases that have rear sliding doors, are designed for convenient merchandise substitutions and provide added value to users when immediate changes are required! 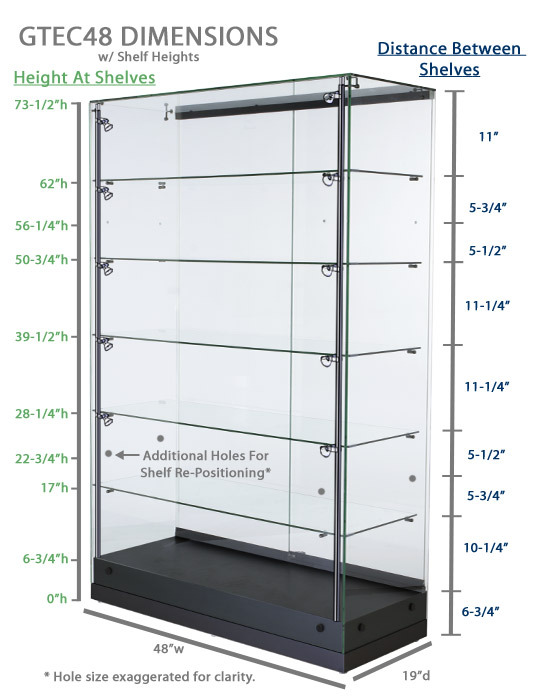 The (5) shelves included can be removed to modify the look of the tower and although shelf changes require two people, this task is quick and easy! 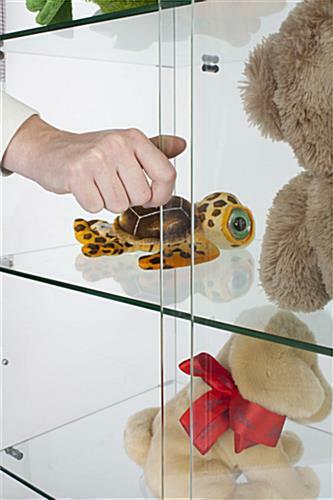 These custom glass cabinets have a locking key device integrated at the bottom of the glass door which safely secures all valuables inside each tower! 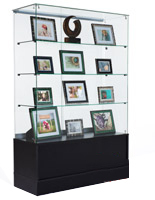 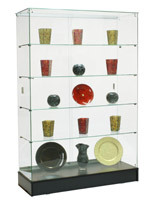 Display cases, like these retail cabinets, are cost-effective and can assist in increasing sales of any exhibited item!